Along with feed, hay, grass and water horses need a regular supply of salt in their diet. Salt (NaCl) is made up of sodium and chloride, which are two of the electrolytes horses need to maintain proper bodily functions. The other three are magnesium, potassium and calcium. In this article, we discuss the importance of salt in a horse’s diet and share tips on making sure your horse gets just the right amount of salt. Read on to learn more about how much salt do horses need. 1 How Much Salt Do Horses Need? 2 Why Do Horses Need Salt? 2.1 Should I Provide A Salt Block For My Horse? 3 What’s The Best Way To Provide Salt? 5 What If My Horse Eats Too Much Salt? 6 What If My Horse Doesn’t Like Salt? 7 Can I Make My Own Salt Block? A 1000 pound horse should consume a minimum of an ounce of salt daily. This amount must be adjusted for larger or smaller equines. It will also vary depending on the individual animal’s level of activity and the local temperature. Horses working hard in hot weather may need as much as two or three ounces of salt a day. While salt is just as necessary for horses as it is for people and other mammals, it is also worth noting that too much salt is detrimental. This is why you should be careful when supplementing your horse’s diet with salt. Remember that commercial feeds have salt added, and there are traces of salt in grass and hay. Why Do Horses Need Salt? Horses who are deprived of salt experience many health difficulties and (in rare cases) may literally drop dead when the heart stops beating. Since salt is present in feed, hay and grass, this is a very unusual occurrence. It is not unusual for horses who are lacking in salt to experience many health problems and low performance levels. Horses who do not have free access to salt may suffer from low endurance levels and lack of strength and speed. Should I Provide A Salt Block For My Horse? What’s The Best Way To Provide Salt? Some horse owners believe that it’s best to add salt to a horse’s feed or water to ensure the horse receives the minimum daily allotment; however, this is not really a good practice. It would be difficult to know exactly how much salt your horse gets from his feed, grass and hay, so it would be easy to overdo it. Furthermore, salty food and water are not especially palatable. Adding salt could cause your horse to reduce the amount he eats and drinks and this is definitely not desirable. One exception to this is the addition of table salt to treats such as carrots or watermelon as shown here! Your horse knows how much salt he needs to make up his daily requirement and account for hot weather and a heavy workload. For this reason, providing free-feed salt in the form of a salt block and/or loose salt is preferable to mixing salt in with your horse’s feed and water. Providing salt freely is convenient and affordable for you and workable for your horse as long as you follow a few best practices guidelines. Place your salt block or loose salt in an area that is protected from the sun and rain. stack of cinder bricks or in a manger to keep it up off the damp ground. When placing a salt block in a stall, be sure that it is well off the ground so that it won’t be trodden upon, or have horse urine or manure deposited onto it. When the block gets small, replace it so that your horse doesn’t have to chase it around to enjoy it. What If My Horse Eats Too Much Salt? This is rare and is usually attributable to boredom or a need for lots of salt. For example, if your horse is kept up in a stall alone for extended periods of time, he may obsessively lick or even chew the salt block or eat too much loose salt. This is not a problem with the salt. This is a problem with your management techniques. Allow your horse to socialize and keep him engaged and well exercised and this problem is likely to disappear. If you have just gotten a horse and find that he is chewing the corners off the salt block, this may mean that he didn’t have salt in his old home. Try providing loose salt instead of a salt block to protect his teeth. Keep an eye on him for a few days. Excessive salt consumption is likely to subside once the animal feels his salt needs have been met. What If My Horse Doesn’t Like Salt? Most horses like salt or will at least eat it if they need it. Don’t be too worried if your horse takes a long time to consume a salt block or doesn’t seem to touch loose salt much. This probably means he is getting enough salt from feed, hay and grass to meet his needs. If you are very concerned, you can try adding some fancy salt to your horse’s choices to see if he’ll like it better, but be advised that expensive choices such as Himalayan mineral salt will not provide as much benefit as plain old, iodized table salt. Adding a few variations in salt blocks may also entice your horse to consume more salt. It’s a good idea to offer a plain white block, a mineral block and a sulfur block. All three contain salt, but mineral blocks and sulfur blocks don’t contain as much salt as a plain white block. If you only have room for one, stick with the plain white block. 1. A “natural” salt block or rock is usually uneven in shape and contains salt and some trace minerals and may be gray in color. Blocks containing Himalayan salt may have a reddish cast. This choice is costly and may not hold up as well as a standard salt block. 2. A processed salt block is pure white salt pressed into a perfectly rectangular block. This will suit your horse’s basic need for salt. 3. Processed red or blue salt blocks have components added. A dark red block has iodine added which aids thyroid health. A blue block contains both iodine and cobalt. Cobalt is said to help animals utilize vitamin B12 as well as assisting with thermoregulation in extreme temperatures. 4. A brown salt block is also called a mineral block and has had minerals added. 5. A yellow salt block has had sulfur added to help repel flies. 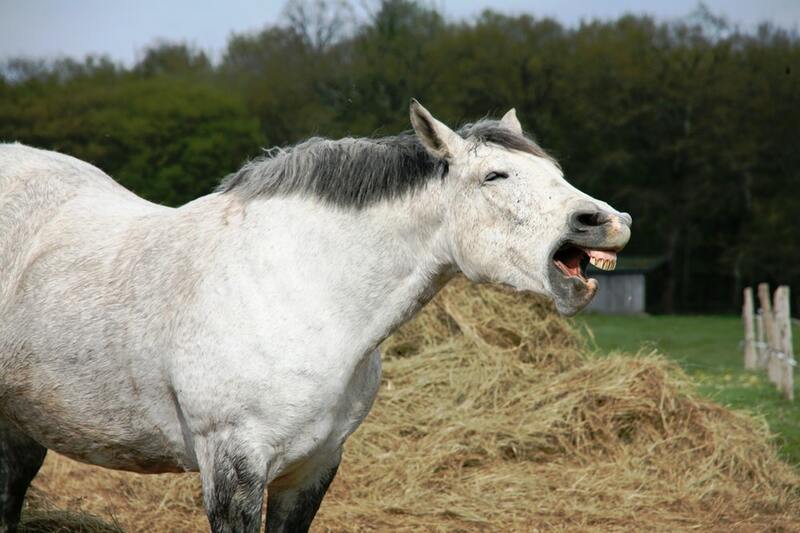 Some horse owners say that their horses prefer natural salt. When this is the case, it may be more economically feasible to offer a measured amount of natural salt loose in a sheltered dish at feeding time and also keep a small block of processed salt freely available. Can I Make My Own Salt Block? If you have a lot of time on your hands and want a product that is sure to break down rapidly, making your own salt block is certainly a possibility. 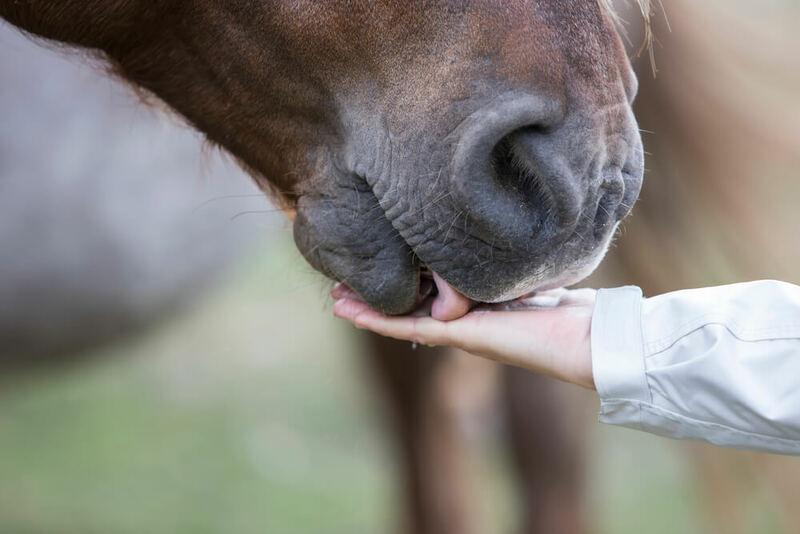 There are quite a few articles that provide instructions on how to make salt licks for horses. If you like the idea of arduous work, a big mess and a two week wait you may want to give this project a try. Just keep in mind, no matter how much effort and attention you put into this project, your finished product will not be any better than a commercial salt block. It is highly likely to be susceptible to breakage, chipping and crumbling in wet weather. It will surely be much more costly, and frankly you could spend that time better enjoying your horse!